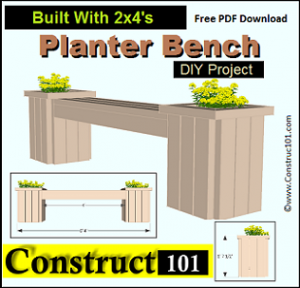 PDF download link will be sent to your email. 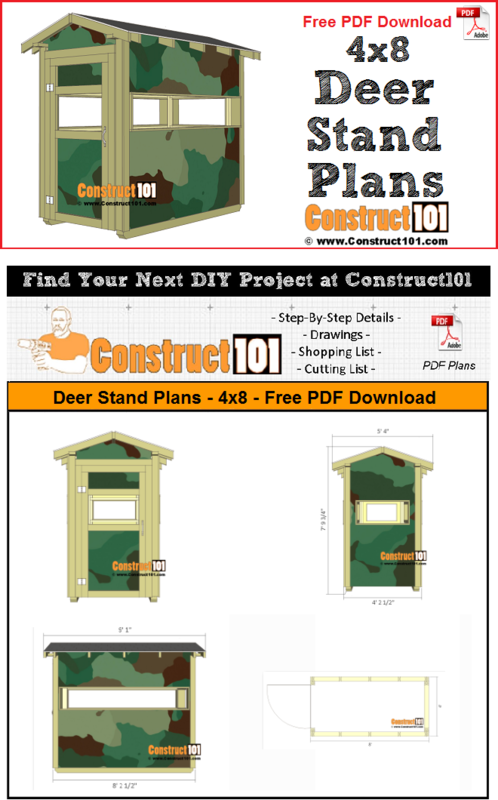 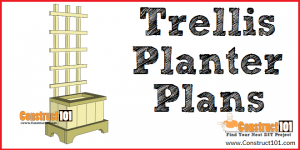 Deer stand plans – 4×8, PDF download, includes step-by-step instructions, drawings, measurements, shopping list and cutting list. 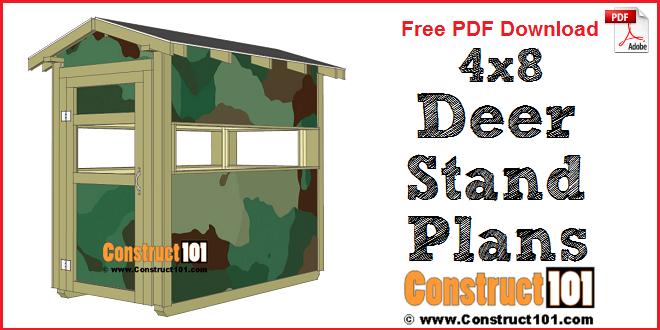 See the online version of these plans click here.